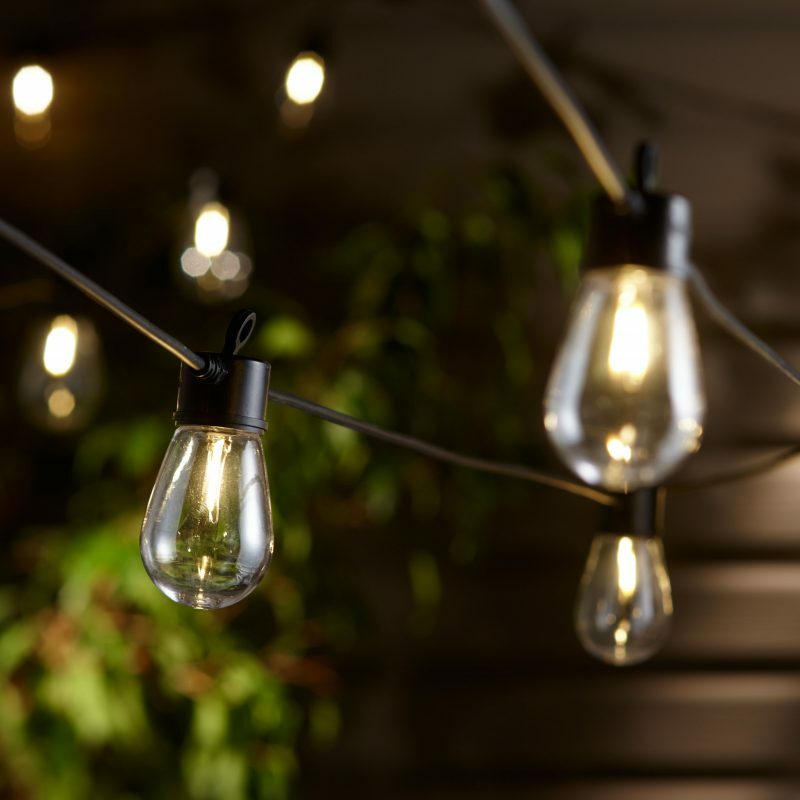 Solar String Lights – 20 LED Bulbs - SunForce Products Inc.
Add a delightful classic feel to any outdoor and indoor location with the Sunforce Solar String Lights. 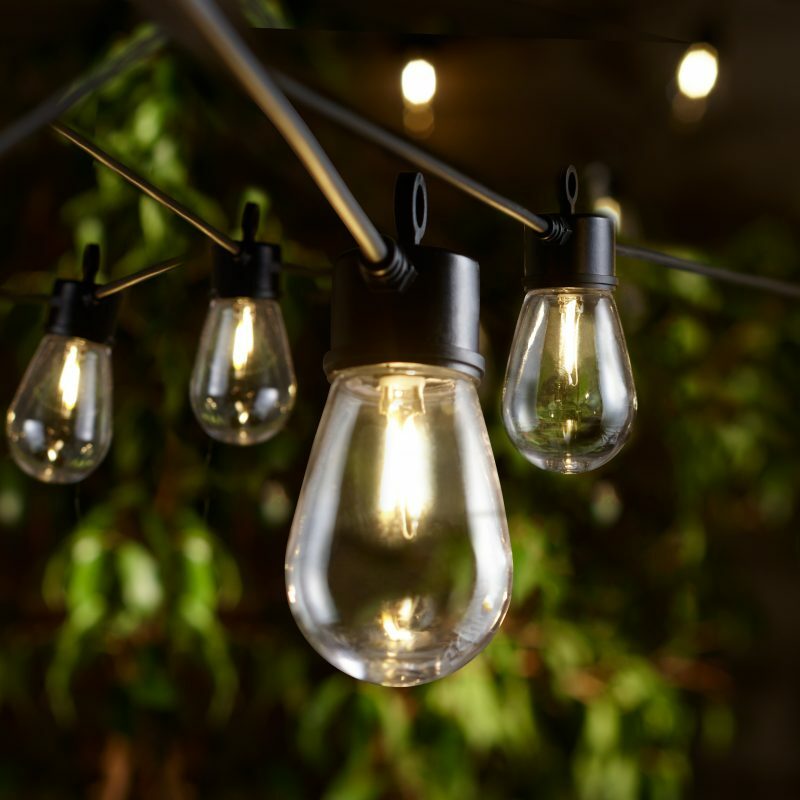 Equipped with 20 LED bulbs, dusk to dawn activation, and a long lasting amorphous solar panel, these string lights are ideal for decks, patios, backyards, pergolas, gazebos and much more! 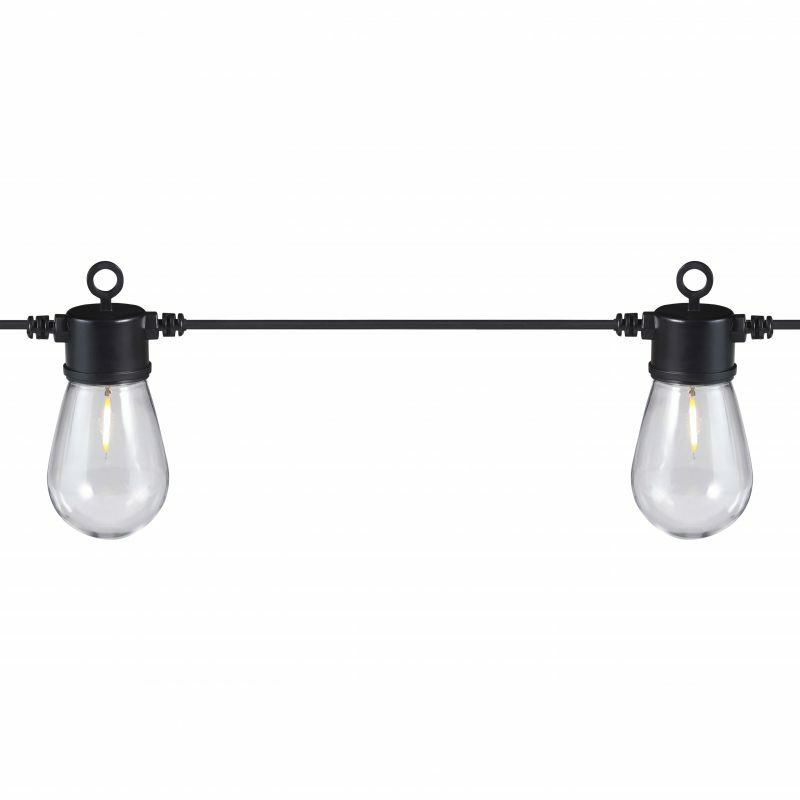 Ideal for decorative and outdoor use on decks, patios, backyards, pergolas, gazebos and more! Can the wire be extended? No, any change to the solar string light’s wiring will void the warranty. Do the solar string lights require direct sun to operate? The solar string lights will charge in direct and indirect sunlight. For optimal performance try to ensure the solar panel is orientated to maximize sun exposure. The bulbs are not replaceable. Why do the solar string lights appear to strobe or flash? A flashing light is generally caused by an undercharged battery. Turn the solar string lights to the “OFF” position and charge for two full days in strong sun. After these two days of charging switch to the “ON” position and use as normal. 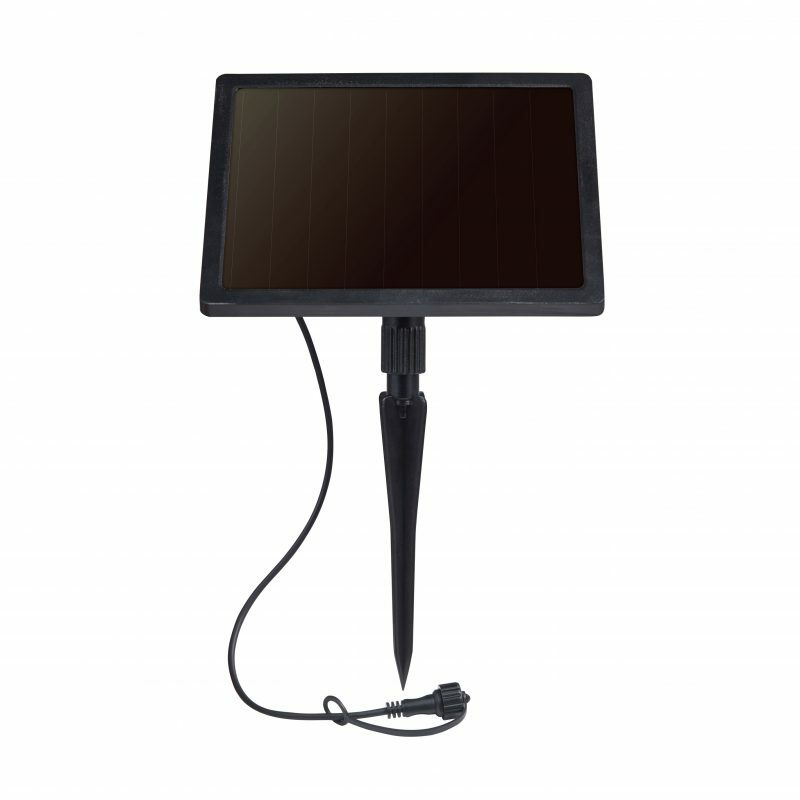 Can the solar string lights be used during the daytime? No, the solar string lights only illuminate during the evening and/or during periods of darkness. What type of battery do my solar string lights require to operate? 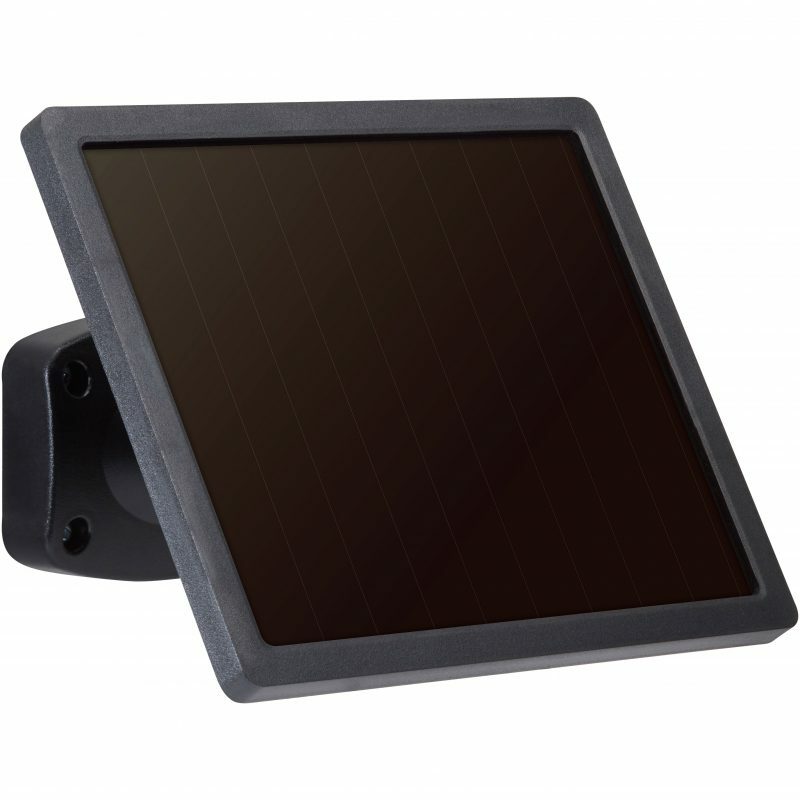 Each set of solar string lights requires the use of one rechargeable 3.7V Li-Ion battery. Yes, the Sunforce Solar String Light – 20 Bulbs comes with a 1-year limited warranty.